At BMW of Westchester, we’re always looking for ways to give back to our community. 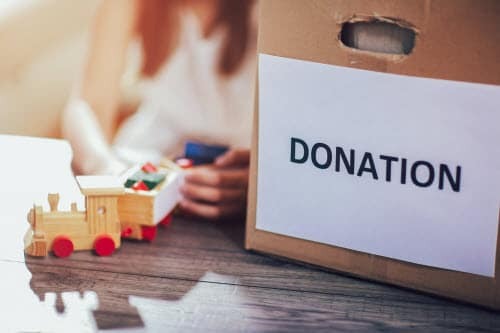 Through charities, drives, and donation bins, we believe that our philanthropy has helped those who need it the most in the Westchester, White Plains, and New Rochelle areas. Now that it’s the holiday season, the time to give back to those who need it is crucial. That’s why we’ve chosen to donate toys to the Lois Bronz Children’s Center, as a way to help out and make the holidays special for children in our community. The Lois Bronz Children’s Center was founded in 1966 as a resource to help the growing needs for childcare all throughout Westchester County. It was founded to help employed mothers find reasonable care for their young ones while they worked to support their family. Over the years, the programs grew to being a full-service children center, helping the needs of working parents. At Lois Bronx Children’s Center, they’re committed to providing a safe and nurturing learning environment for children from all backgrounds in an effort to help them grow socially, emotionally, intellectually, and culturally. They work hard to help children reach their utmost potential, to form today’s children into tomorrow’s inspiring leaders by offering various programs geared towards children of all ages, ranging from infants, toddlers, and even elementary-school-age children. Our entire team at BMW of Westchester is proud of the work that the staff at Lois Bronx Children’s Center does in our community. To help this holiday season, we decided to give back and make the spirit of giving wonderful for the enrolled children. We hope that our donation of fun and educational toys will bring joy into their lives this holiday season. As a luxury car dealership that proudly serves drivers in Westchester County, White Plains, and New Rochelle, we’re always happy to give back to our wonderful community.